The Petrol Stop: Article- The 100,000 mile question when buying a car!!!!! 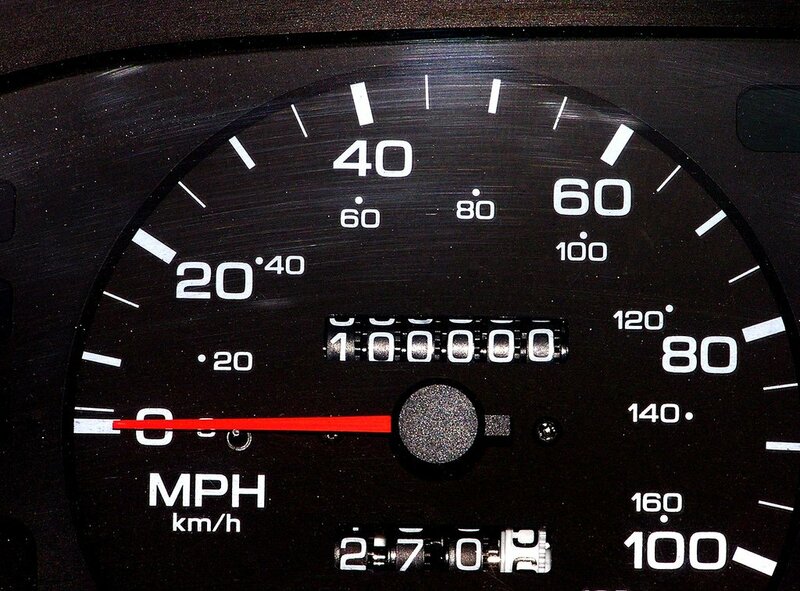 Article- The 100,000 mile question when buying a car!!!!! Recently I changed jobs and with it I lost my company car, now I’ve had one for about 9 years and over that time I’ve never had to worry myself about the perils of buying a secondhand one. But when I got back on the horse, so to speak, one thing I noticed was a shift in my previous misgivings or doctrine about buying a car. And this revolved around mileage and what constitutes “high mileage”. Why did I have to review my own pre conceptions and prejudices? Well I grew up in the 80’s and got my first car at 18 in the mid 90’s which meant it was a car built in the 80’s. In fact it was a 1984 Ford Fiesta 950 Popular. Now back then when you were looking for a car there was one cardinal rule that was passed down the generations father to son, that rule was twofold, first “Don’t buy a car with more than 100,000 miles on the clock” and secondarily “sell your car before it gets 100,000 miles on the clock”. The very thought of having to tell someone back then what the mileage was on your “new” car when they asked, and they would ask, and getting that blank look that hid the thought behind it of “arrrhhh couldn’t afford one with lower mileage”. That sounds crazy now but back then it was a real pre-cursor of social standing and the price of cars dramatically changed over this all concerning figure. This was with good reason, cars in the 80’s particularly in the UK, were not well built and their engines were pretty much shot by this magic number. That assumes it hadn’t rusted away long before, after all this is a time before galvanised bodies. A rust spot or chip was something to attached with a touch up pen immediately. Back in the 80’s car were built to only do 100,000 miles so everything bolted to them was also built with that in mind. This brings me to my pre-misconception, over the last 20 years the reliability of engines, and I’m really looking at diesels here, has quite honestly been proved to turn this on the head. It’s no longer unusual for a VW 2ltr TDI engine to happily rack up 250,000 miles with minimal maintenance. Hell its first major service which would need a timing chain changing isn’t far off the 100,000 mile mental speed bump. Not only would that, but the build quality of the rest of the car also mean wear would be minimal. Basically cars are far superior there days and built to last. 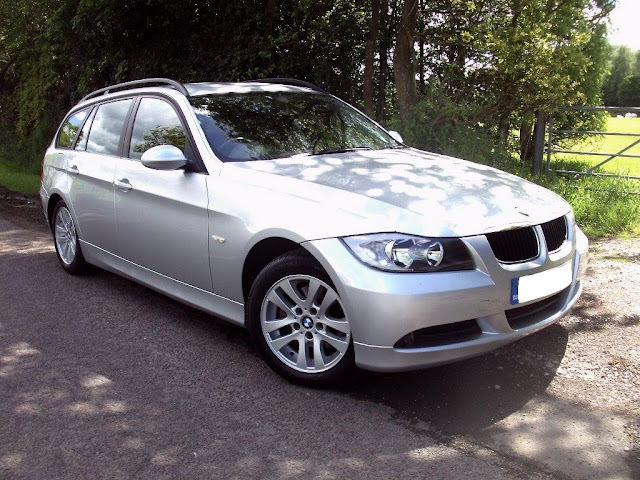 So here I am looking for a family wagon and despite knowing all this that voice in the back of my mind is still telling me, as I scroll through the Autotrader/Ebay adverts, to ignore cars with over that irrational benchmark mileage. Not only that but smirking at some of the cars verging on 200,000 miles. What’s worse, I know for a fact none of my friends would batter an eyelid, even my Dad wouldn’t comment on it these days, but still it’s there niggling at the back of my mind. Hopefully this entrenched thinking will be lost to the current generation, I’ve already mentioned modern cars if maintained correctly, can last and last forever!!!!! But it properly wont as cars have become more so a social status and very disposable and cheap accessory leading to its own problems but that for another article. Oh and just to let you know the car I finally bought a BMW 3 Series Touring, and the mileage??? Well I failed, it had 70,000 miles on the clock.